As the Big Easy wraps up its Tricentennial anniversary, 2018 has also been an incredible year at Royal Sonesta New Orleans! Next up, the renowned and award-winning, full-service luxury property is gearing up for its 50th Anniversary in 2019, kicked off with another standout carnival season. Known as Fat Tuesday, the Crescent City’s beloved carnival traditions date all the way back to medieval Europe, evolving into its current style of a multi-week celebration and culminating the day before Ash Wednesday. Many traditions of this celebration—over-the-top outfits, masks, custom-built ladders for parade watching, coveted beads and other signature “throws” from popular krewes—make New Orleans ground zero for Mardi Gras. Among those traditions remains Royal Sonesta New Orleans’ annual Greasing of the Poles premier signature event. In its 49th year, Greasing of the Poles has solidified its place in the Big Easy’s history as a landmark experience. It is considered by many to be the French Quarter’s official Mardi Gras weekend kickoff, held each year on the Friday preceding Fat Tuesday. With the added celebration of Royal Sonesta New Orleans’ 50th Anniversary, the 2019 Greasing of the Poles will be bigger and better than ever. Held on Friday, March 1, at the hotel’s main entrance, the event is truly an “only in New Orleans” experience you have to see for yourself. Just prior to the official launch of Carnival Season, New Orleans traditionally celebrates King’s Day. Also known as Twelfth Night, or the Epiphany, King’s Day takes place just days after guests ring in the New Year at The Jazz Playhouse. 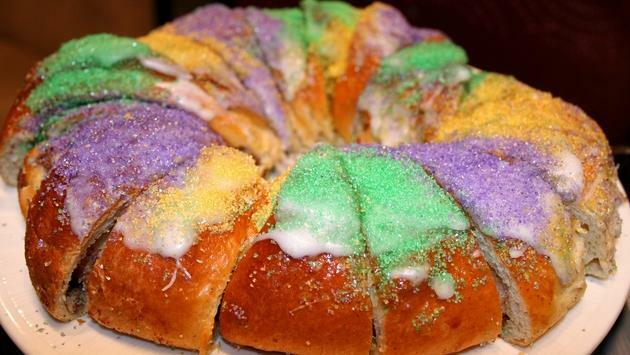 In honor of the official commencement of carnival season, Royal Sonesta New Orleans is celebrating the occasion with the reveal of its new Executive Pastry Chef Hyemin Torroll’s specialty king cakes. Torroll will be featuring the traditional style of the dessert, as well as its evolution, in the form of decadent chocolate brioche Queen Cake. This has a chocolate or cream filling, sparkling glitter and décor and a sassy high heel hidden inside. The standard king cake will feature a small baby figurine hidden within, per age-old tradition. Visitors of PJ’s Coffee Café within the hotel’s main lobby can purchase these cakes starting January 6th. With a number of celebrations, there’s no better time to book your stay than with Royal Sonesta New Orleans’ winter sale. Guests are invited to experience true Southern hospitality and save 20 percent on the hotel’s best available rates through March 31th. To take advantage of these savings, book by February 8th and use the promotional code 2018WS. Starting in January, we will be offering our 50th Anniversary package. Starting January 10th, celebrate Royal Sonesta New Orleans’ 50th Anniversary with deluxe rates and Sonesta Travel Pass members earning 500 bonus points per night, using promotional code FIFTY. Book with promotional code FIFROY to celebrate royally with a bottle of Moet champagne and R Club rates. In the heart of the French Quarter and all the fun—and in close proximity to the most spectacular parades in the city—revelers from all walks of life come together at Royal Sonesta New Orleans. As the VIP box seat to Bourbon Street, let us make your Mardi Gras experience even more unique and unforgettable.